entertainment’s multi-million dollar casino-resort plan is expected to bring in high-rollers and tourists to Brisbane if successful in the development bid over James Packer’s Crown Casino. At a press conference with The Australian, competitor ECHO entertainments group chief executive, Matt Bekier said the casino-resort development on Queens Wharf was all about tourism. “The idea is to create a critical mass to give people a reason to come. "There is good evidence there is demand for that," he told The Australian at the press conference. 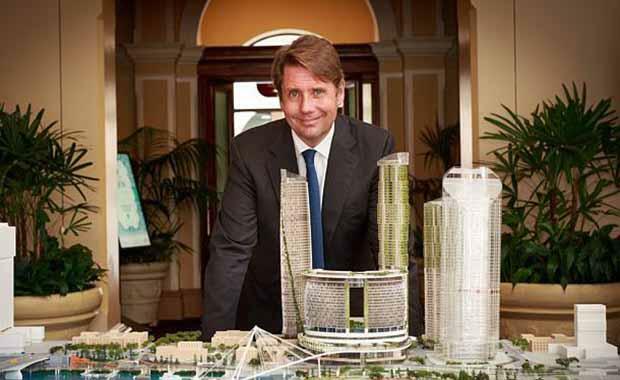 ECHO’s casino-resort plan offers Brisbane five hotels, three residential towers and an underground mall. According to The Australian, ECHO’s development plan which includes 1,000 hotels and two 50-storey skyscrapers, will be led by Hong Kong based Chow Tai Fook Enterprises, an Asian entrepreneur with goals to bring in Asia’s high rollers. The battle between casino-resort developers on Brisbane City’s, Queens Wharf is scheduled to be settled in June by the Queensland government. The Department of State Development, Infrastructure and Planning publicised on their website that Queens Wharf was the type of world class integrated resort development Queensland was seeking. “Queen's Wharf is… the place where the history and foundations of our capital will be transformed into a contemporary expression of Brisbane as a new world city," the website added. The details of the tender process remains confidential but regardless of the way the bid goes, Brisbane City is being offered opportunistic plans and is certain to see urbanised success from either Wharf tender.